I am 43 and have only recently started swimming. I am managing 20 x 20 mtr lengths in 20 mins and was wondering what I should be aiming for, to ensure I keep a reasonably high level of fitness. I have been constantly in the gym so my resting heart rate is between 52-58 but I want to focus on swimming to lean me out especially around the abdomen. Is it possible to let me know what I should be aiming distance, time and no.of times per week to not let my fitness levels slip while I don’t go to the gym? 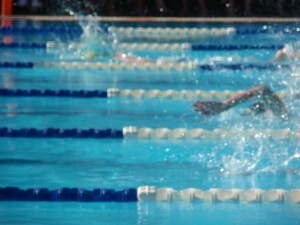 Congratulations on starting swimming and you have progressed very well to be able to do 20 x 20 mtr lengths. To improve your fitness, you need to gradually build up to around 40 minutes in the water. You wouldn’t be swimming the whole time, however the extra time would allow you to build up to 40 x 20 mtr lengths. These laps could be done in different ways and by trying each of the sets below, you will begin to improve your fitness. The suggestions below are based on 20 mtr or 25 mtr laps. 2. Swim 40 x 1 lap descending 1 to 4, so that the first lap is easy and then the second lap is a bit faster, third lap faster again and 4th lap as fast as you can go, then back to an easy lap. 3. Swim 1 x 2 laps and then 2 x 1 lap and repeat this 10 times. 4. Swim 4 laps, then 3 laps, then 2 laps and then 1 lap and repeat this 4 times. This is my favourite and if you swim solid in the 4 laps and then try to get faster in the 3 laps, 2 laps and 1 lap, your fitness will improve quickly. 8. Swim 40 laps continuous at a good pace. Hope this helps Kishan and gives you a few ideas. How to get well after an illness? 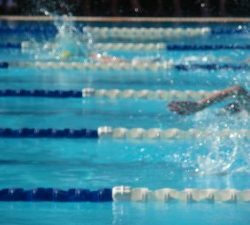 How to learn breath control when swimming?